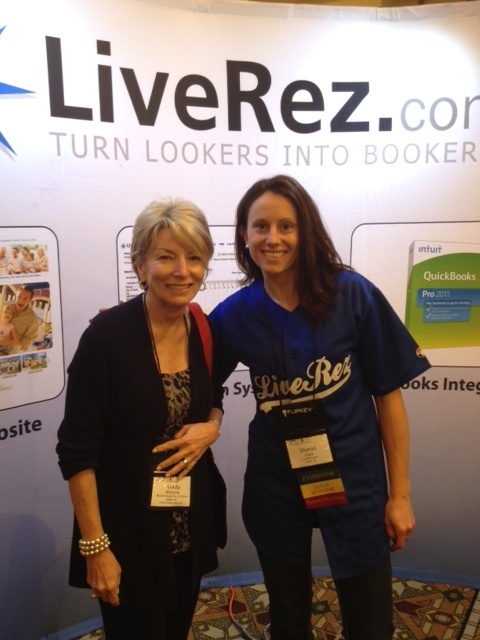 LiveRez Director of Partner Success Sharon Clark with LiveRez Partner and Beach Properties of Hilton Head Owner Linda Moloney at a recent industry conference. BOISE, Id. –– This week LiveRez.com, the industry leader in cloud-based vacation rental software, partnered with its 750th professional vacation rental manager. LiveRez.com reaches this important milestone just 5 years after officially launching its all-in-one, cloud-based platform – which is now believed to be the most used cloud-based platform in the vacation rental industry. According to LiveRez.com Founder and CEO Tracy Lotz, the company’s rapid growth has been fueled by its partnership business model, which economically aligns LiveRez with each of the professional property managers using its software. Having been in the vacation rental space for nearly 20 years, Lotz has seen the growth of the industry first hand and looks forward to the exciting changes that will come in the following months and years. For more information on LiveRez.com, call (800) 343-2891 or visit LiveRez.com. LiveRez is the fastest growing vacation rental software provider for professional vacation rental managers. The company’s cloud-based, end-to-end platform offers fully integrated solutions for reservation management, trust accounting and online marketing, with high-ranking, high-conversion dynamic websites and an extensive affiliate marketing program. The company is a proud Gold Sponsor of the Vacation Rental Manager’s Association (VRMA).